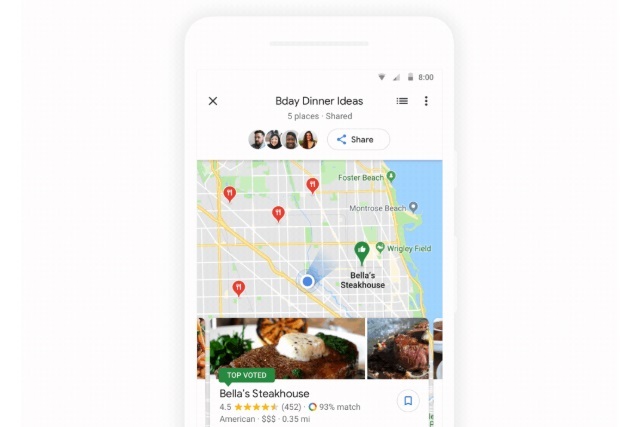 Both the iOS and Android versions of Google Maps have received an update that will be welcomed by anyone who has ever struggled to arrange a meet-up place, or a dining location with a group of friends. A new voting function makes it easy to gauge opinion and see which location is most popular without having to resort to endless messages, or arguments in group chat. It's a simple idea, but one that can help avoid many heated arguments and allow you to reach a decision faster. In a few easy steps you can draw up a shortlist of places for people to take into consideration. People are free to remove suggestions from the list, and any that remain are put up to a vote -- a simple idea that should help out many groups of friends. How do you decide on a place that your BBQ aficionado bestie, quinoa-loving sister, and wannabe foodie friend can all enjoy without scrolling through a ton of links in group text messages? Starting today, you can use Google Maps to easily plan where to go as a group. Simply long press on any place to add it to a shortlist -- the small floating bubble on the side of your screen. Once you've added places, you can quickly share the list with your friends on any messaging platform, add or remove additional places, and vote together in Google Maps. The rollout may take a while to complete, so if you don’t see the option yet rest assured that it is on its way.